Hi everyone, so as some of you might have noticed yesterday, I got a little ahead of myself with my days and posted Photo Friday. I was gutted when I realized it was actually Thursday and I would have to wait another day for my Friday night glass of wine. But fear not, it is now Friday and all is good in the world as I shall be indulging my weekly habit very soon. Todays photo is one I took during the Summer of my foster cat Harriet. 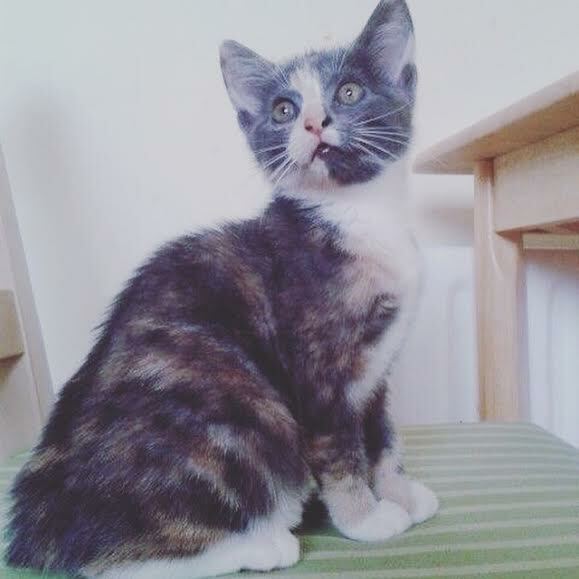 She was 10 weeks old in this pic and such a beautiful cat. I think I spent the whole month she was with us taking pictures. As you can see she is very photogenic and has a beautiful dilute tortie coat. Harriet found the most wonderful home with a middle aged couple who’s kids had all grown up and left home so they were looking for a new “baby” so to speak. They send me regular updates and even kept the name I gave her which I thought was lovely of them. Fostering is such a nice thing to be able to do and I love when they get the happy ending they deserve and you played a little part in that happy ending. Its a wonderful feeling to see a pet go to their forever home.